If you’re a Battlefield veteran and not happy you got left out of the Battlefield 1 alpha, this may explain why. In case you missed it, a select few are currently testing out an early build of Battlefield 1 on PC, dubbed a ‘closed alpha’. Some were even brave enough to leak a few screenshots for the rest of us to see. Even though we have these to look at alongside various bits of raw footage available, there’s nothing quite like playing. 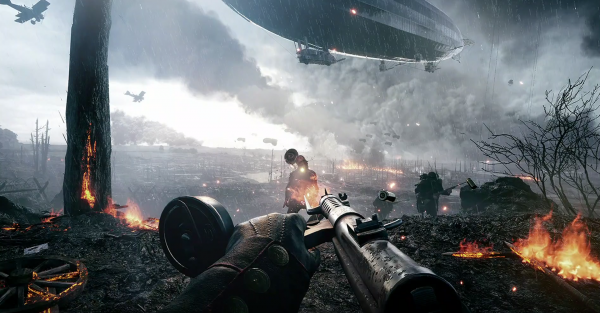 Which is why many longtime Battlefield players who were hoping to be invited, are now wondering why they were left behind. According to EA, invites went out to random players without a prior announcement. “We’re holding a very small, very exclusive closed alpha test for Battlefield 1,” the publisher wrote in an FAQ. “Unfortunately, we’ve already let in everyone we need for this test and won’t be giving away access to anyone else. If you’re confused, don’t worry. You didn’t miss a registration or sign up, it’s just a very small, closed test,” the post concluded. A screenshot of the email those invited received is making the rounds, and it definitely makes it seem like the selection process was random. There’s also the NDA part, which could further limit potential testers to certain countries etc. At the time of writing, it doesn’t seem like this alpha test will be expanded to include more players. We’ll keep an eye out for you.